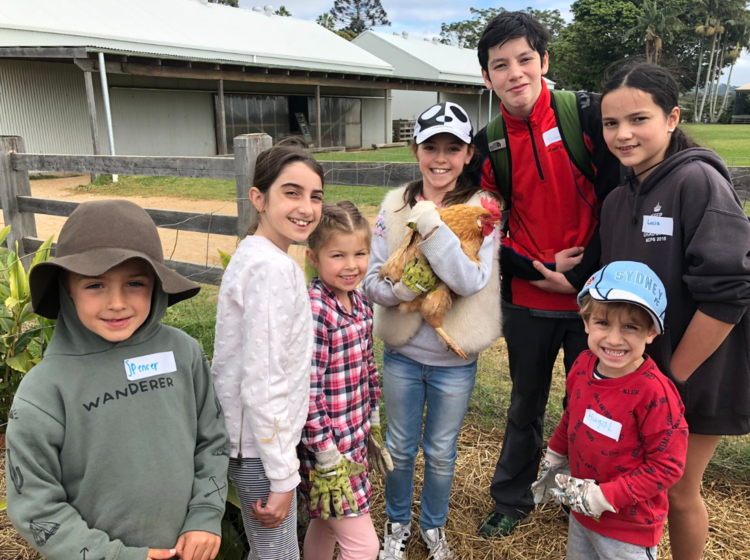 The kids become mini farmers and get set to work doing farm chores; we collect eggs and clean and prepare them for sale. We restock our pet chickens bedding, ensure they have fresh drinking water and clean out their chookie house. We collect manure for compost for the market garden. If the opportunity arises, we assist the farmers with their chores. They cook, create and see where their food comes from as well as experience countless opportunities to learn about teamwork, community, and ethical farming practices.